This week we learned students at the University of Arkansas Fort Smith are planning a Drag Queen Story Time event. De-stress before the tests! Join us for Drag Queen Story Time featuring Chloe Jacobs, Miss Gay Arkansas America 2018. All ages are welcome to attend as Miss Chloe Jacobs reads some delightful children’s books. Expect dancing, coloring, and light refreshments! Special thanks to our cosponsors: Pride@UAFS and the River Valley Equality Center. The story time is scheduled to be held at the Boreham Library on the UAFS campus. 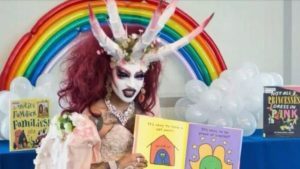 You may recall in August the Central Arkansas Library System had scheduled a drag queen story time at one of its locations, but the event was quickly scrapped following criticism from citizens and elected officials. Across the country, LGBT activists are working to convince libraries to host these sorts of events. As we’ve said before, these Drag Queen Story Times aren’t really about reading or fun. They’re about promoting a radical homosexual and transgender ideology. This week our friends at the Colson Center for Christian Worldview published a commentary highlighting Belgium’s efforts to push the boundaries when it comes to suicide-by-physician and euthanasia. [Assisted suicide is] not about alleviating suffering. A psychiatrist in Belgium approved the doctor-assisted suicide of a healthy 38-year-old woman diagnosed with Asperger’s. Asperger’s is a mild form of autism. It’s not a terminal illness. It does not lead to anything that could be considered “unbearable and untreatable suffering.” That’s Belgium’s squishy definition of eligibility for assisted suicide. . . . Wherever assisted suicide is permitted, it’s not just the terminally ill who die. It’s the vulnerable among us. 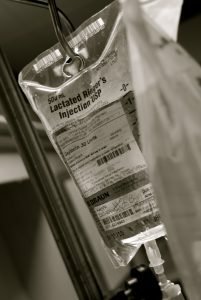 Researchers in North America have continued to find that people who ask a doctor to prescribe drugs to help them commit suicide generally aren’t concerned about pain and suffering caused by a terminal illness. They’re worried about losing their autonomy or their way of life. In Canada — where assisted-suicide is legal — researchers found that people inquired about assisted-suicide not because of excruciating pain, but because they are dissatisfied with their lives in the wake of their illness. Since 1998, more than 90% of the people who inquired about assisted suicide in Oregon said they were concerned about losing their autonomy. More than 75% expressed worries about losing their dignity. Only 26% said they were concerned about controlling their pain. Last August we told you Belgian doctors have euthanized at least three minors suffering from brain tumors, muscular dystrophy, and cystic fibrosis. And in October we wrote that Canada’s largest children’s hospital was drafting a policy regarding euthanasia that some say could eventually let children decide to be euthanized without even notifying their parents.